The NCAA tournament can invoke so many wonderful memories for basketball fans young and old. The madness is all about the moments, and with another year of making brackets around the corner, we had to round up a bunch of the best ones. We stuck to moments that stood the test of time, including ones when sports and culture clash. That’s the kind of thing that happened in 1984 with a coach named John Thompson Jr. There’s a reason why productivity plummets during the month of March. The first NCAA Tournament happened in 1939 with only eight teams participating. 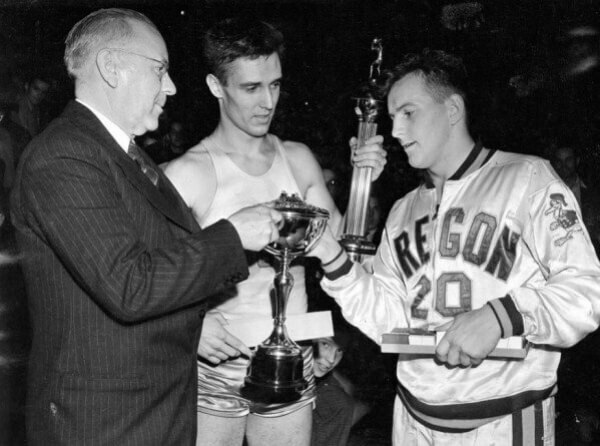 Oregon, who was coached by Howard Hobson, won the national title with a 46-33 victory in the final game against Ohio State. The Ducks didn’t make their next Final Four appearance until 2017. Bill Bradley holds plenty of records from the Ivy League. 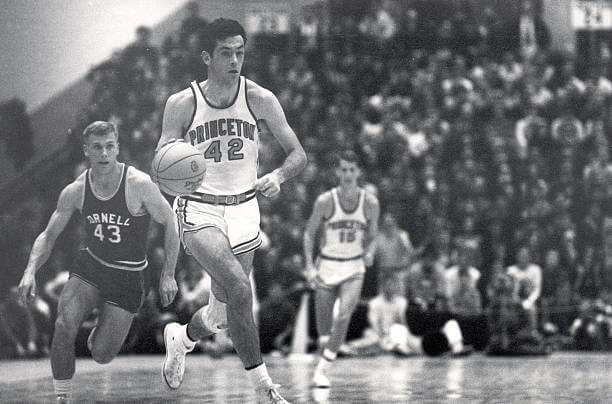 In his senior year at Princeton in 1965, Bradley went off on a scoring blitz, putting up 58 points for Princeton against Wichita State. Both teams played in a consolation game after bowing out in the Final Four. 1966 was a significant moment for the tournament and the game of basketball. 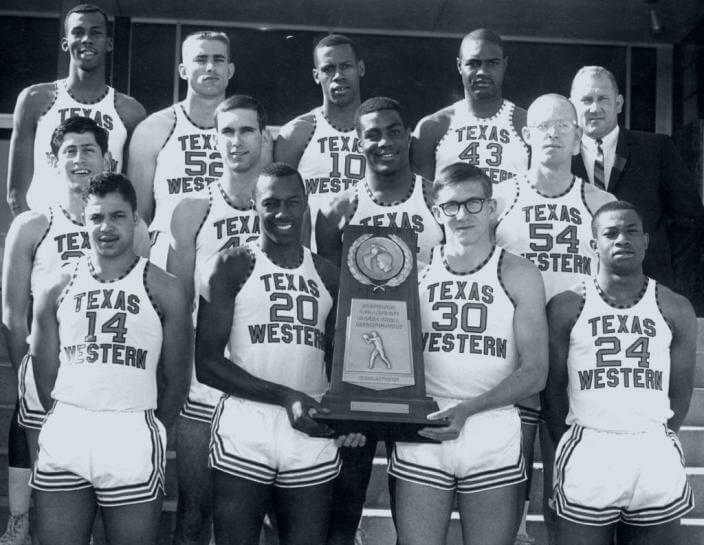 The Texas Western Miners won the tournament in a 72-65 victory against Kentucky. This marked the first time that a team with five African-American starters won a title game. 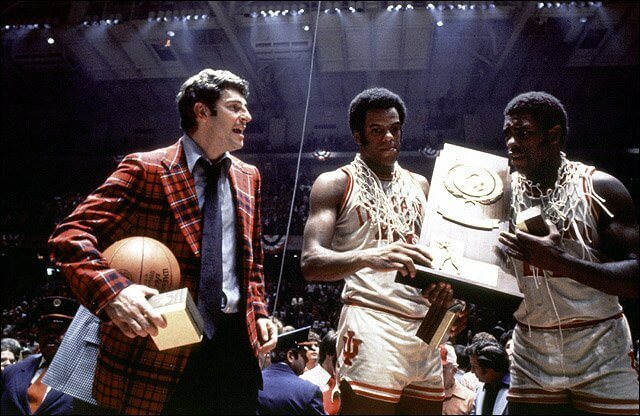 Just ahead, Bob Knight’s iconic coaching career actually had a perfect season. We’ve seen a few teams have a perfect season and win the whole tournament without a single loss. 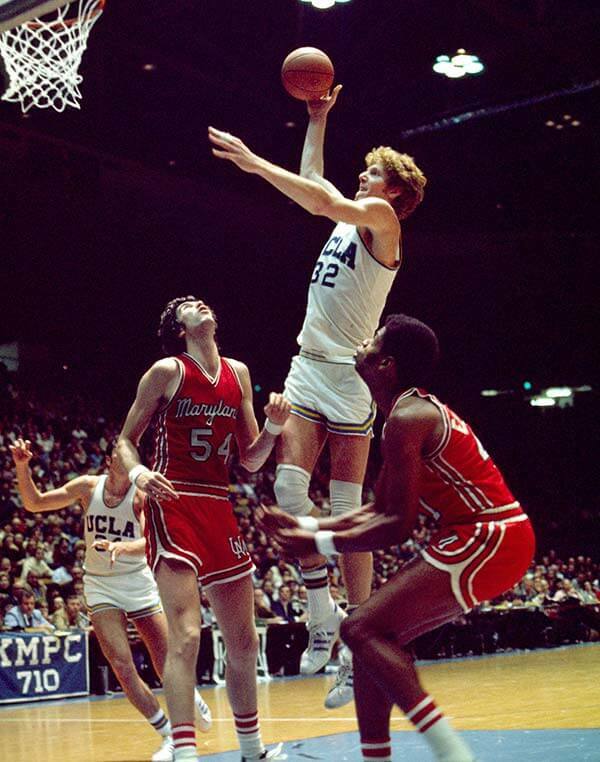 Take that level of perfection and apply to the great Bill Walton. The Hall of Famer had an almost-perfect game from the field. Walton went 21-for-22 in the championship game against Memphis State. John Wooden will always be the GOAT of the UCLA Bruins basketball team. 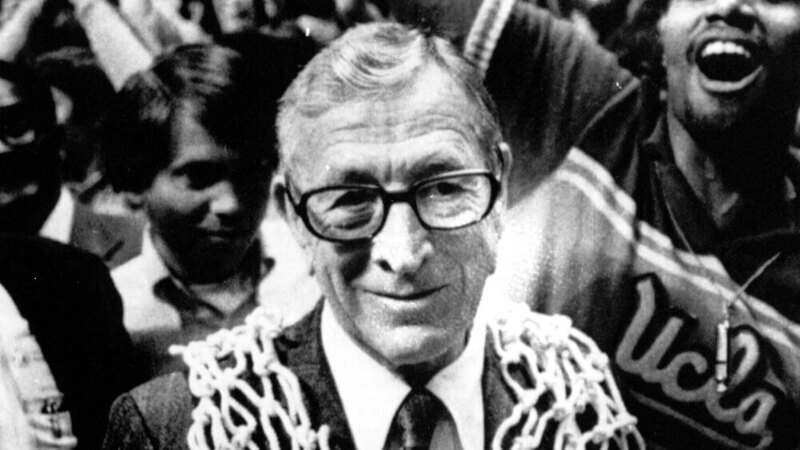 The Bruins had won the title nine times under Wooden’s tenure and 1975 was the last of his iconic career. 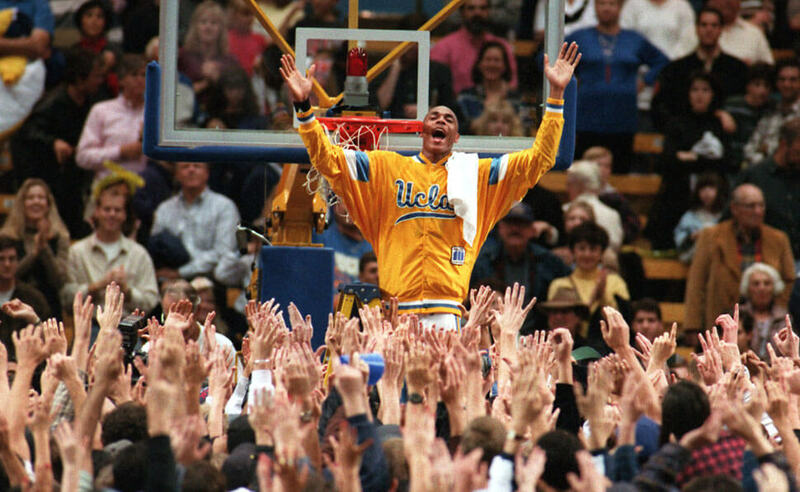 Wooden walked out with a bang when the Bruins beat Kentucky for his 10th national title in his final game. When it comes to household names in college basketball, Bob Knight is near the top of the list. Back in 1976, his Indian Hoosiers dropped Michigan to complete their undefeated season and grabbed the national championship. The perfect season was a one-time moment for the legendary coach. Proof that David can beat Goliath is just around the corner and it’s a good one. 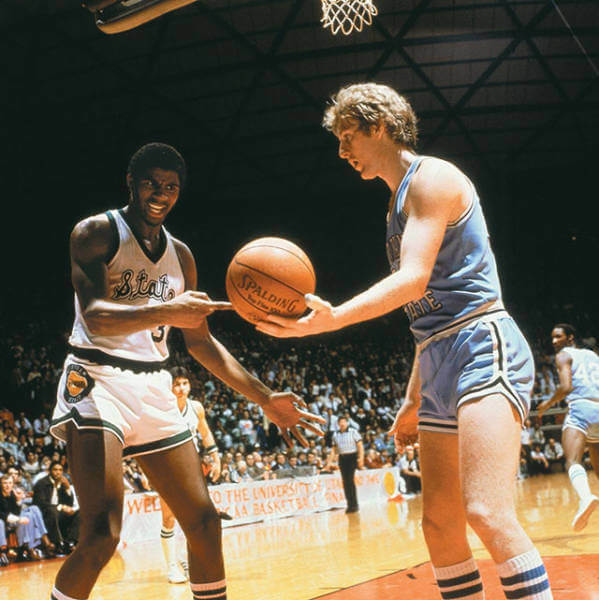 Years before they met in the NBA Finals, the 1979 edition of the tournament featured Magic Johnson and Larry Bird in the title game. This game would be the highest-rated televised college basketball game ever, and it remains so to this day. Oh, Johnson and the Spartans got the better of Bird and the Sycamores. The name Michael Jordan was just buzzing around the basketball world, but was launched into the stratosphere with his tournament performance. In the 1982 title game, MJ hit the game-winning shot before Georgetown’s Fred Brown threw the ball into the hands of James Worthy. The costly mistake and Jordan’s shot gave Dean Smith his first championship as a coach. Yes, they did! In 1983, the North Carolina State Wolfpack defeated a heavily favored Houston team with a dramatic buzzer-beater in the championship game. 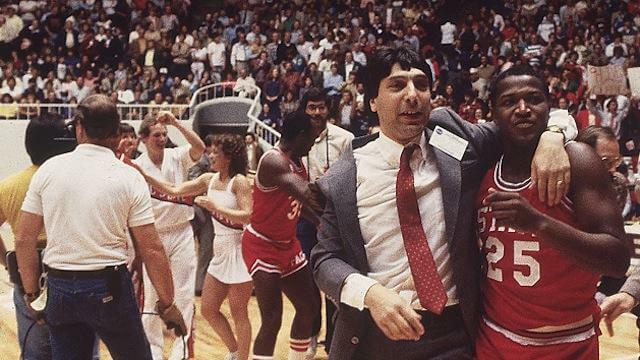 At the buzzer, N.C. State coach Jim Valvano ran aimlessly on the floor looking for someone to celebrate with. One of the most famous buzzer-beating shots happened in 1992 and that’s still on the way. 1984 was a good year for the Georgetown Hoyas and their rising star, Patrick Ewing. 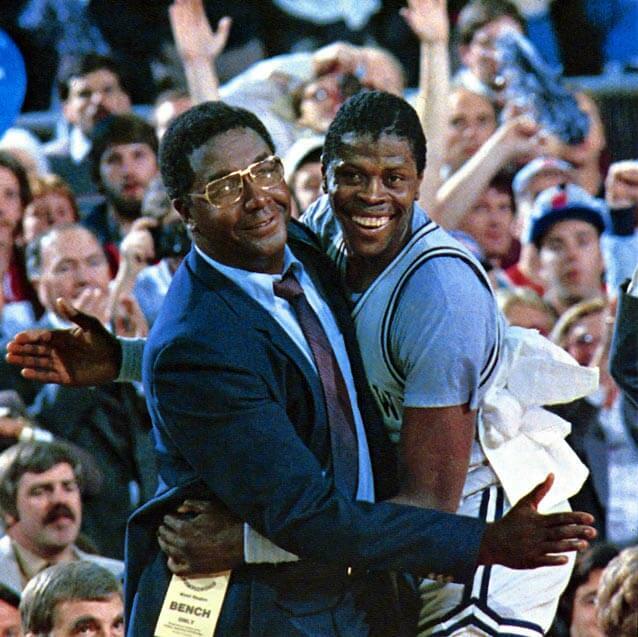 The Hoyas would take home the national title, but it was a significant moment for coach John Thompson Jr. He because the first African-American head coach to win a Divison I men’s basketball title. 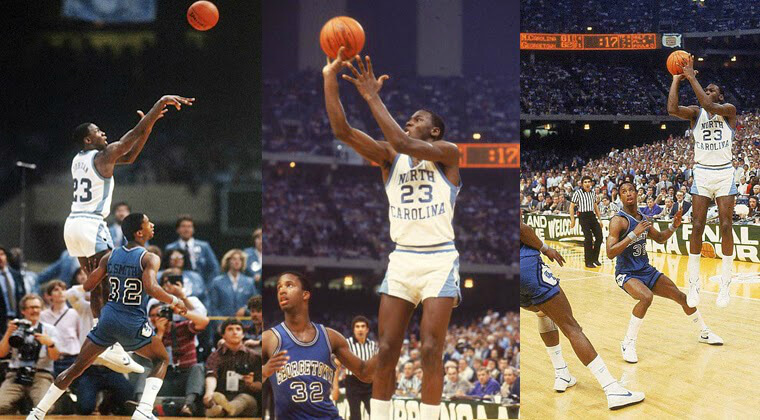 The 1991 NCAA Tournament saw, for the first time since the expansion of 64 teams in 1985, a truly major upset. A 15 seed went on to defeat a 2 seed in the tournament for the first time. The lucky winner of the game was Richmond over Syracuse. Richmond only went as far as the second round. Duke’s Christian Laettner throttled himself into the spotlight during the 1992 title game. 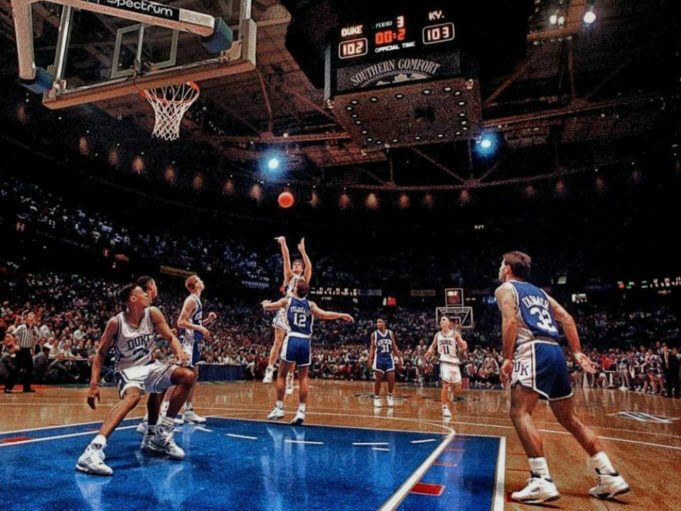 Laettner hit one of the most famous game-winning, buzzer-beating in shots in college basketball history. He also went 10-for-10 from both the field and the free-throw line in a 104-103 overtime win over Kentucky. Do you remember George Mason’s Cinderella run? More on that later. The 1993 Finals saw the emergence of the Fab Five, but Chris Webber was known for one particular moment. Webber would call for a timeout with 11 seconds left in the game. 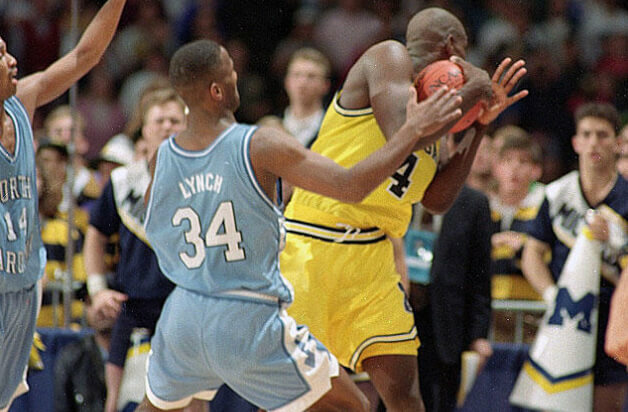 However, the Wolverines had no timeouts left and UNC was awarded technical foul free throws and would win 77-71. Tyrus Endy became a hero in 1995. The guard had less than five seconds on the clock to sprint the length of the court and shoot a Hail Mary for the win. It would seem that that would be nearly impossible, but he did just that to give the Bruins the first title win since 1975. Now, this was a year to remember. 2006 will never be forgotten by a George Mason team that reached several milestones, including a team record 23 regular season wins. The Patriots reached the Final Four, becoming the first team from the Colonial Athletic Association to accomplish the feat. Before 2007, the last team to win back-to-back titles was Duke in 1991-92. 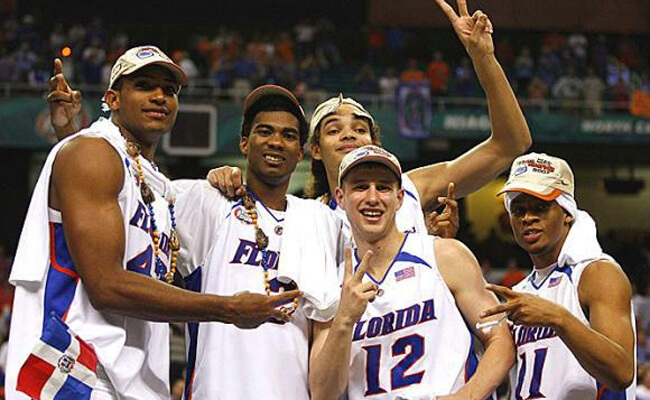 Flash forward years later and it was the Florida Gators who were on top of the college hoops world. The Gators would win back-to-back titles themselves in 2006, then again in 2007. Six overtimes in a one elimination tournament is rather exhausting. For Connecticut and Syracuse, both sides knew that one was moving on while the other would be sent home. After six overtimes, Syracuse walked off the court victorious by a final score of 127-117. This one took place just before the NCAA tournament during the Big East tourney, but would set the stage for one of the most impressive runs of basketball by any team. 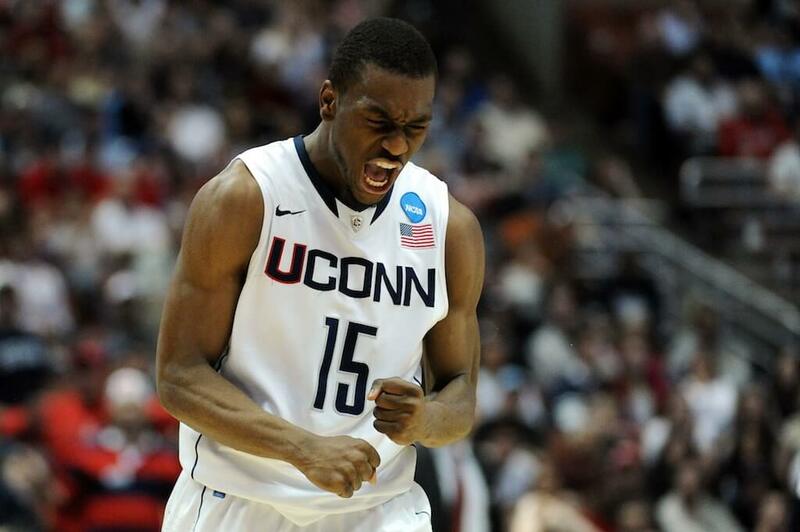 Kemba Walker had an NBA performance in the Big East tournament. Walker hit a buzzer-beater against Pittsburgh, solidifying UConn’s automatic bid to the NCAA tourney by winning five games in five nights. The step back jumper that he sank was one of the greatest moves we’ve ever seen in tournament history. The VCU Rams didn’t make much noise in the tournament until 2011. In fact, before that year the Rams never made it past the second round. The Rams’ journey to the Final Four began in one of the opening round games, and it didn’t stop there. As the No.11 seed, VCU was the First Four team to make it all the way to the Final Four. 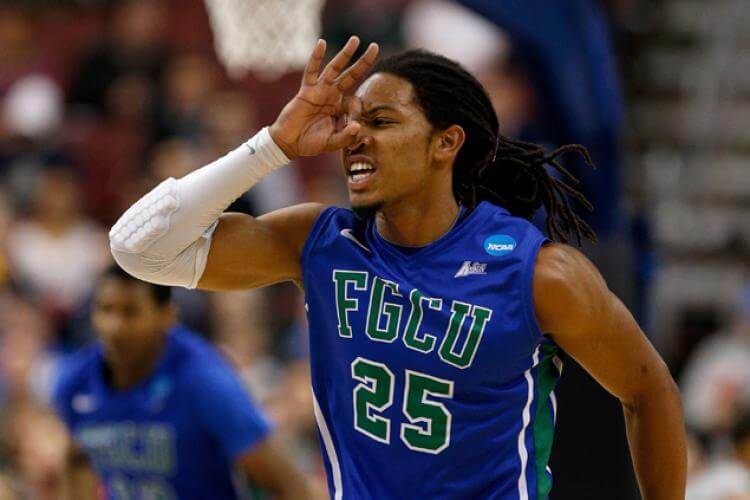 Who could forget Florida Gulf Coast as the No. 15 seed in 2013? Dunk City and its run to the Sweet 16 saw them defeat Georgetown, and San Diego State before bowing out to Florida. This just goes to show that no No. 15 seed should be taken lightly.